Haines City police said Ernst Cherizard shot and killed the mother of his two children and her aunt. HAINES CITY, Fla. -- A man accused of shooting two women and a young girl published an apology note of sorts on Facebook, police said. 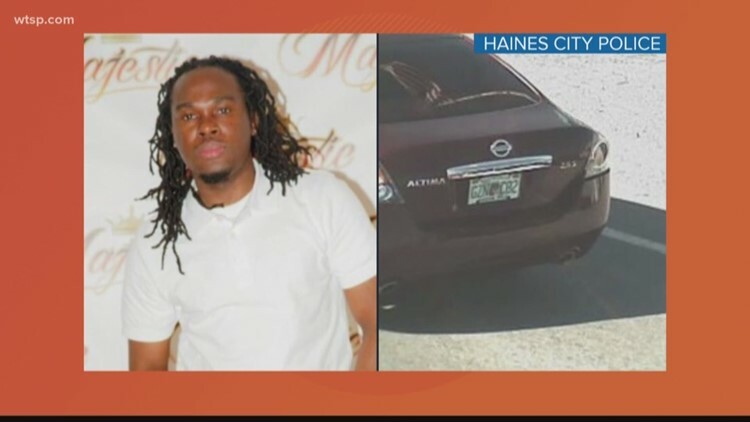 Ernst Cherizard, 38, shot and killed 23-year-old Eli Junia Normil, the mother of his two children, according to a Haines City Police Department news release. Police said he, too, killed her 48-year-old aunt, Nicole Guillume. The 6-year-old child shot is on life support after she was shot several times, once in the head. She is not Cherizard's child. "Daddy is so sorry with all my heart cuz I can't believe this happened," Cherizard wrote on Facebook, police said. "Despite his remorse, make no mistake about it -- this man is a monster," Police Chief Jim Elensky said in the release. "To consciously shoot three innocent, unarmed females is nothing less than being a coward. To shoot a truly innocent 6-year-old child is disgusting and beyond comprehension. "... Our thoughts and prayers are with the family and the first responders who did everything they could at the scene. They also must live with this tragedy."